Was trying my best to fill up my ipod, before the trip. 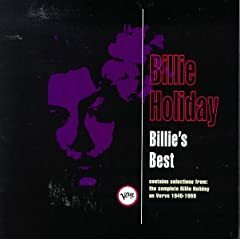 Listening to Billie Holiday non-stop almost. Such silky voice, such rich emotions. This entry was posted in Arts & Music, Random Thoughts by Jean. Bookmark the permalink.